Hello IT and AV Engineers! I recently got a chance to test out some of the industries top auto tracking camera solutions. Last year at INFOCOMM we saw quite a few new auto-tracking cameras solutions from 1Beyond, HuddleCamHD, Vaddio and PTZOptics. 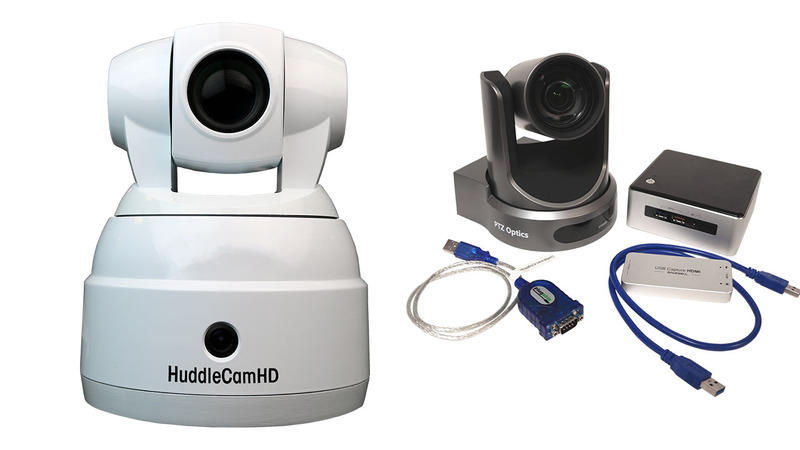 We will get into each of these companies auto-tracking solutions in this blog and I have side by side footage for the HuddleCamHD SimplTrack and PTZOptics Perfect Track. The good news is that that auto-tracking cameras are finally here with some impressive performance. The HuddleCamHD Simpltrack pictured above has some amazing features for controlling the speed and sensistivity we test out in the video below. We also, did a very similar test with the PTZOptics Perfect. I have to say the HuddleCamHD Simpltrack has a much more feature rich interface for auto-tracking. The "Tracking Parameters" turned out to much more in-depth. While, I do love the simplicity of the Perfect Track system from PTZOptics (and the cameras) take a look at the PTZOptics Perfect Track interface below.